The Hernández Güereca family asked the Supreme Court if it could sue the border agent who killed their teenage son on the Mexican side of the border. Now the case returns to the Court of Appeals. For seven years, the Hernández Güereca family has sought to sue the U.S. border agent who shot and killed their teenage son, Sergio Adrian Hernández, who died in Mexican territory. Today, the family learned it must keep waiting. On Monday, the Supreme Court sent the case – which asks whether the teenager's family has the right to sue the Border Patrol agent for the death even though it happened on foreign soil – back to the lower court. The outcome of this lawsuit will be decisive in resolving other Border Patrol deaths in Mexican territory. In a seven-page opinion, the Supreme Court justices ruled that the Court of Appeals erred in granting qualified immunity from prosecution to the border agent, Jesus Mesa, who shot the Mexican teenager. 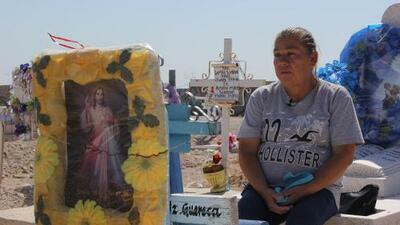 On June 7, 2010, a bullet fired by Mesa on the U.S. side hit the unarmed 15-year-old in the head. He collapsed on the Mexican side and died a few minutes later, at the foot of a bridge used for legal border crossings by millions of pedestrians and vehicles each year. “It is undisputed ... that Hernández’s nationality and the extent of his ties to the United States were unknown to Mesa at the time of the shooting,” judges wrote. Judges had to examine whether the U.S. Constitution is valid in the region where the two countries meet, and therefore if Fourth and Fifth Amendments should protect Sergio Adrian Hernández from police brutality and official immunity. The judges believe that the Court of Appeals must hear the case again and take into account recent Supreme Court decisions, which could change the course of Hernandez v. Mesa. "They are also giving both sides an opportunity to fully brief the issues, in light of the recent rulings," said David Weinstein a former federal prosecutor now in private practice with Miami-based lawfirm Clarke Silvergate. For the Hernandez family this could mean another chance to get the Appeals Court to return the case to District Court and introduce new evidence, he explained. "But they will have a tough road ahead, given that the [Appeals] Court felt strongly about their opinion," he added. The outcome of the Hernandez family’s case will directly affect other cases of Mexicans killed by Border Patrol bullets in Mexican territory. The American Civil Liberties Union has reported at least 53 deaths caused by U.S. Customs and Border Patrol agents between 2010 and 2016. Hernández and five others were shot to death on Mexican territory. Agents claimed the victims were throwing rocks at them from the other side.